Just for a second there, I thought that was Ewan's Obi-Wan and I thought, WTF? 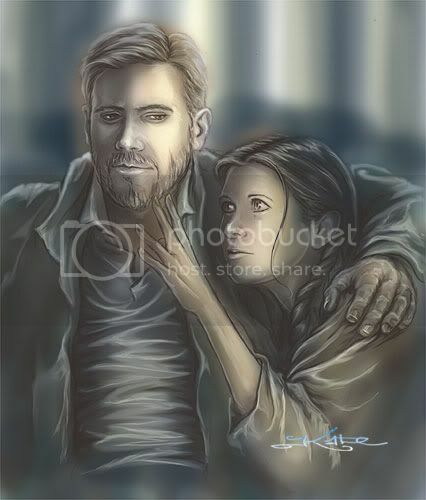 LOL I don't know if I like Han with a beard, but I do love your art work. Leia's eyes are so expressive! Hee! I thought/said the same thing! I once made a Harrison wallpaper, which had a preponderance of Bearded!Harrison pics (mostly supplied by Leela, natch). You're welcome! I'm glad you saw the new reviews. That is a good fanart museum. That is a good fanart museum. Unfortunately I haven't been able to log in there for a long time, hence my lack of updates and/or interest. The one of him in the middle, left is particularly scrumptious, but then I've adored Harrison for ages. Thanks for sharing!